. . . And I was right. 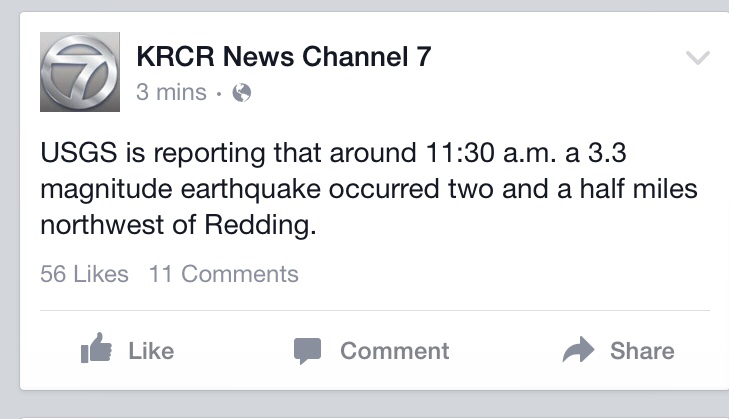 It WAS an earthquake. Though I must admit I was kind of hoping some roustabout Fred McMurray was developing #flubber2015 in his garage, and blew the joint into the sky. So here’s here’s the deal. Mount Shasta–a VOLCANO IN THE RING OF FIRE–Sits just north of me. If that thing is going to erupt, then I’m fishing the Keswick strip.